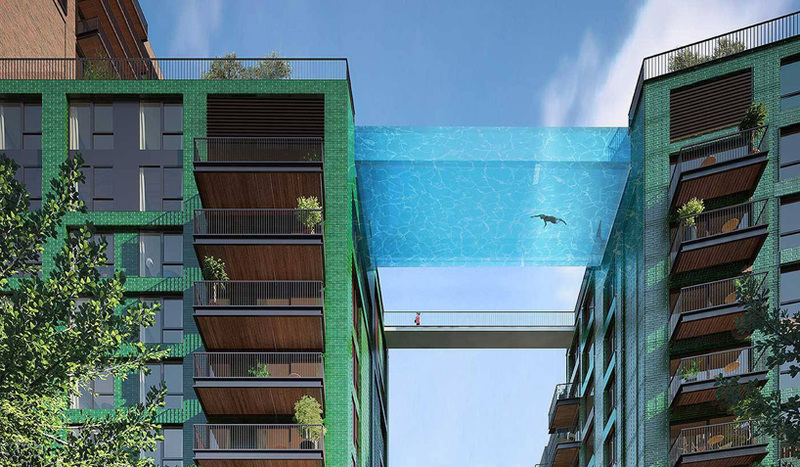 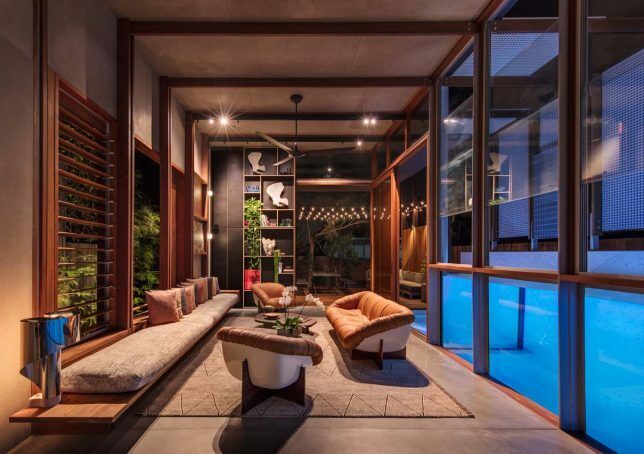 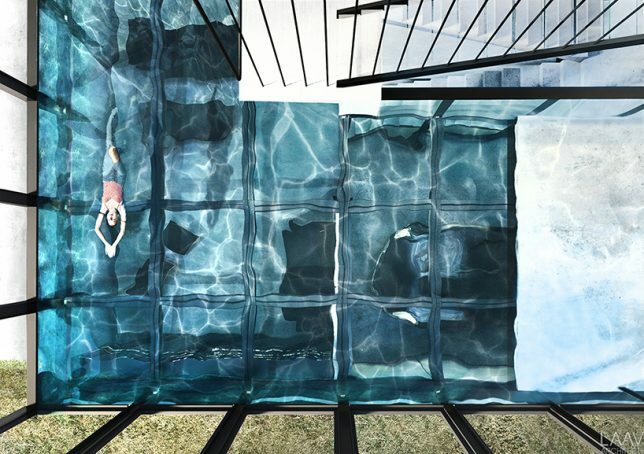 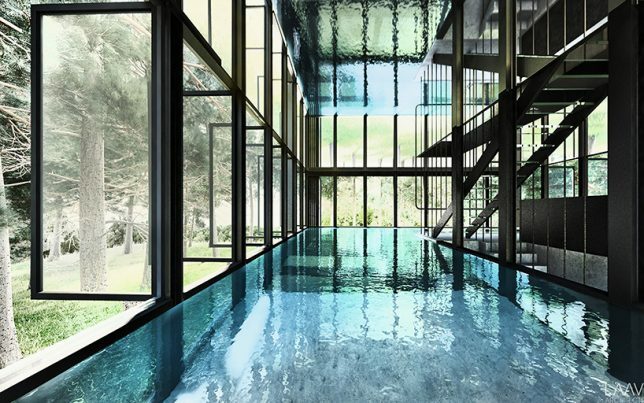 Like oversized aquariums made for humans, these glass-walled swimming pools put bathers on display and making splashing in shimmering waters the defining feature of the homes, hotels and apartment blocks they’re built into. 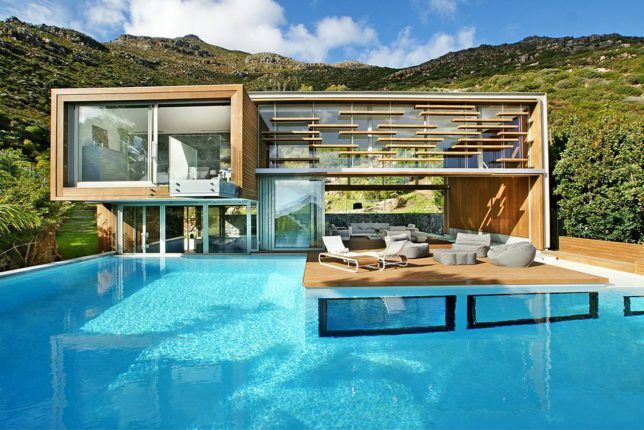 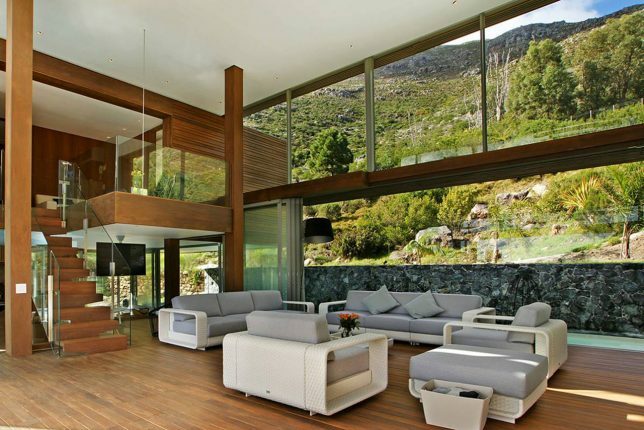 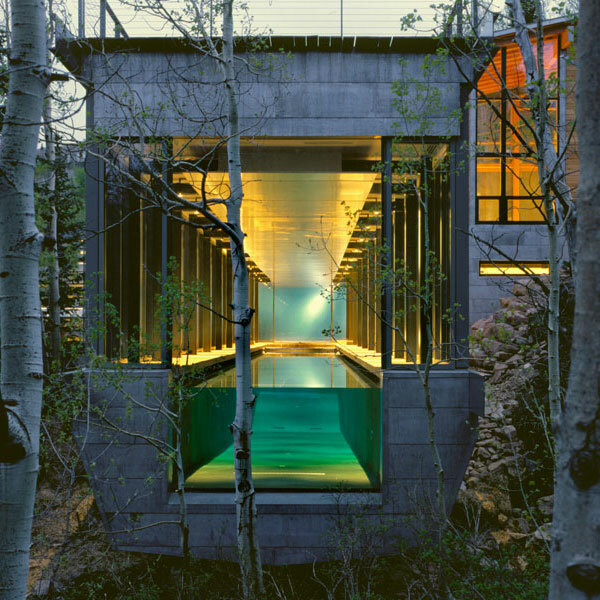 Transparent sides or floors allow them to peer into adjacent interiors or look down onto landscapes, blurring the lines between these watery worlds and the spaces around them. 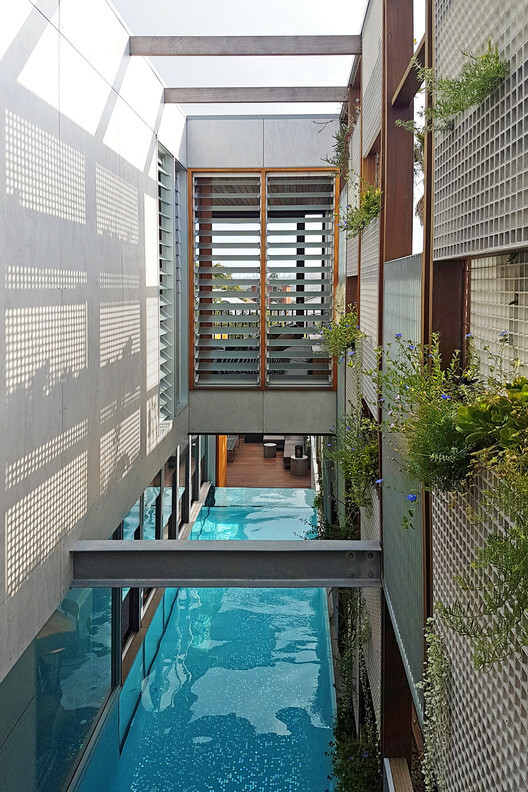 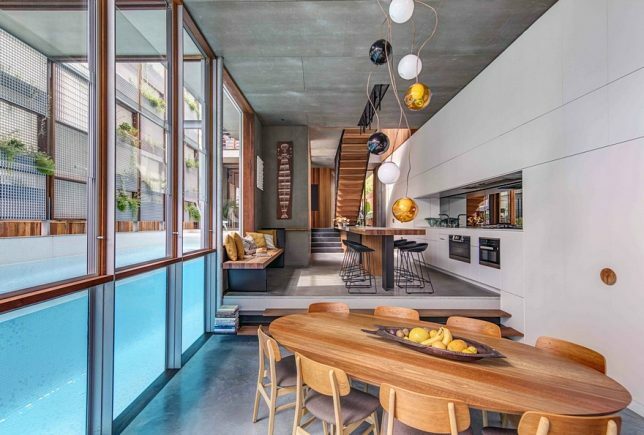 A glass-walled lap pool runs along the edge of the North Bondi residence by CplusC Architects, hemmed in on the other side by an envelope-like perforated privacy screen that protects the home from noise and the eyes of neighbors. 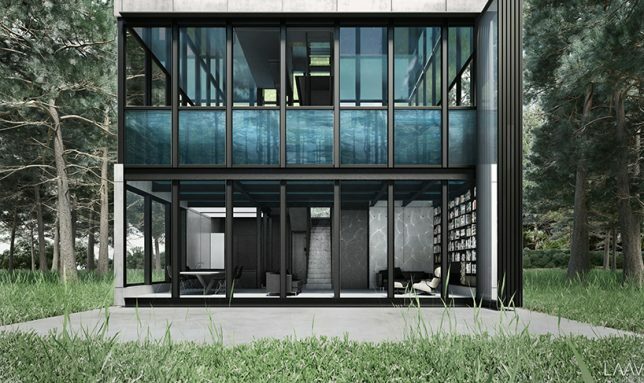 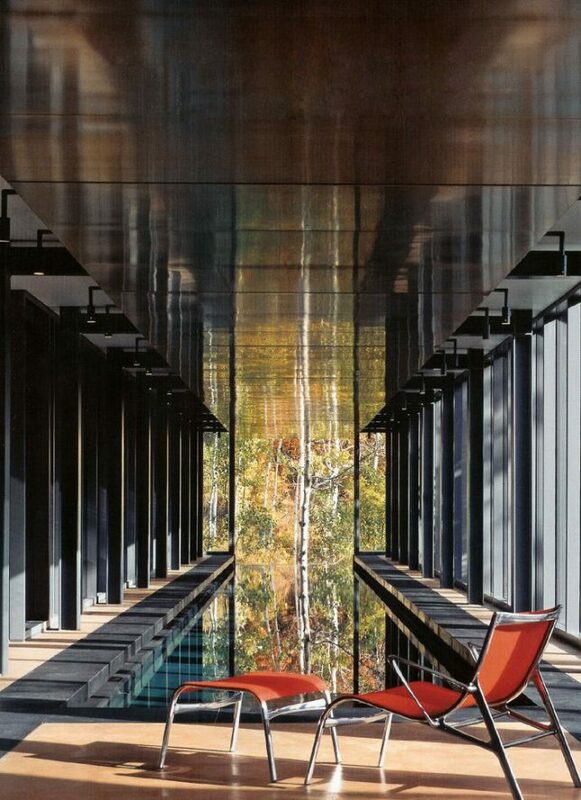 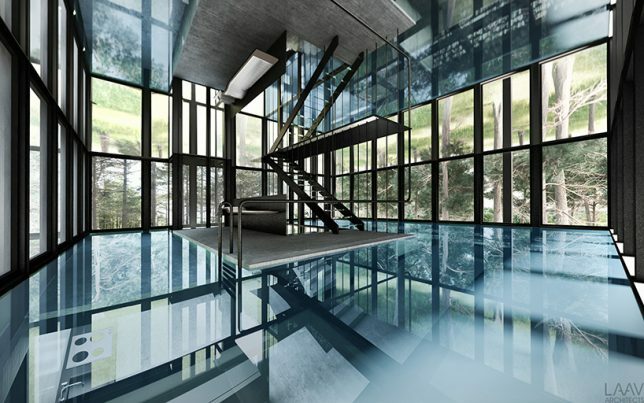 Villa Clessidra by LAAV Architects is a modern three-story vacation home in the forest for relaxing getaways, sliced right through the middle by a swimming pool occupying a ‘transparent zone’ with glass walls, floors and ceilings so it’s visible from all around. 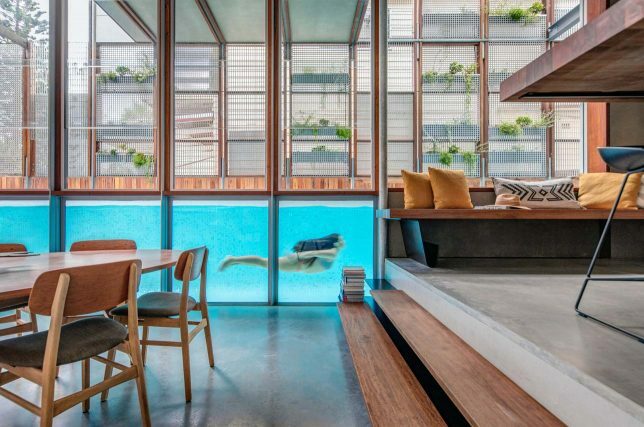 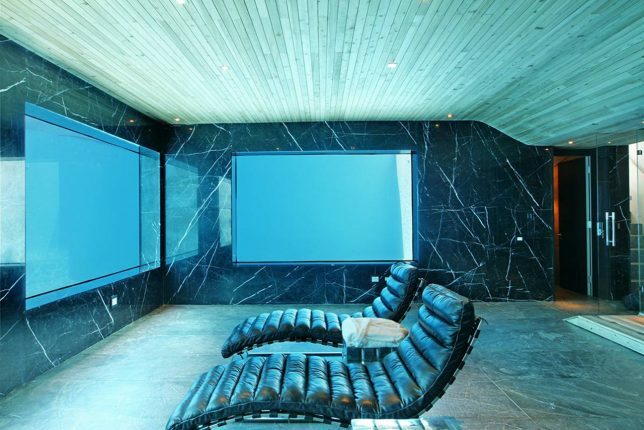 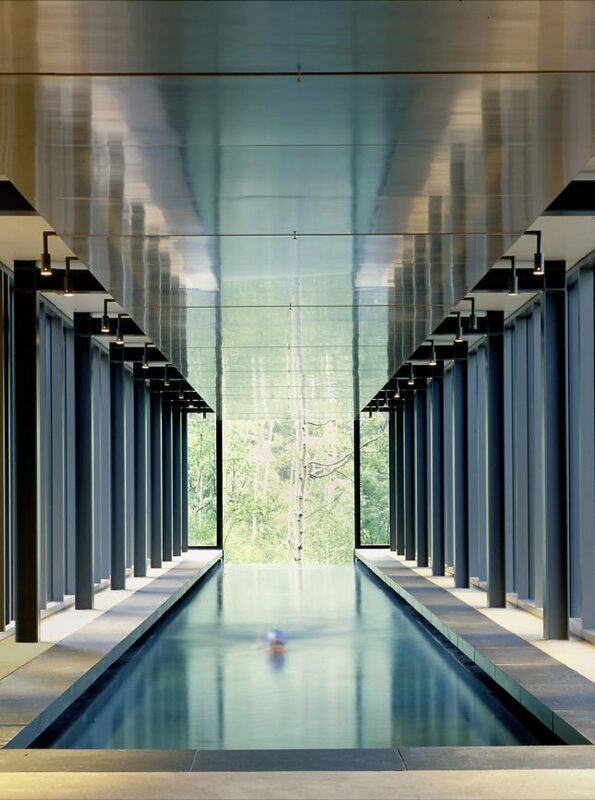 Not only do operable glass walls slide all the way open to welcome a lap pool into this home’s interior – as well as the larger connected swimming pool out back – but glass windows in the water connect the pools to the home’s lowest level, creating the feel of being in a submarine.